We’re calling this week the BlendTec Twister Jar series. We’ve been BlendTec owners since last Mother’s Day and use it daily. It makes our morning shakes, our protein pancakes, our cake mixes and even bread. 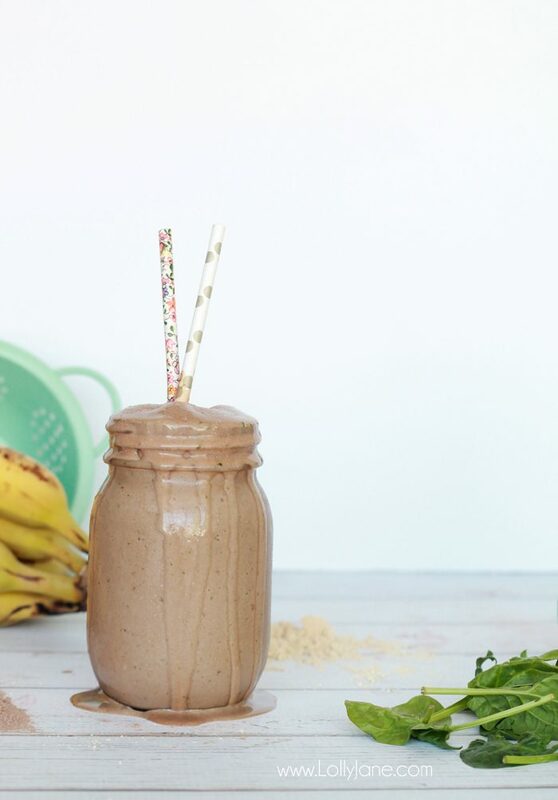 While we’re on this healthy kick (down over 10# in just a few weeks combined by simply cutting out junk foods + baked goods) we thought we’d share our fave shake we make for ourselves + kids almost every morning, a Peanut Butter Chocolate Smoothie. 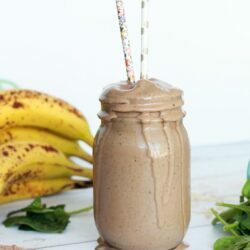 Our dad is NOT a smoothie person but gave it a try and said it tastes like a Wendy’s Frosty… it definitely has the same texture and is pretty yummy abut is missing the high calories or processed sugar. #winning! Depending on the mood, we add hemp or flaxseed or, if it’s just for the kids, we toss in a handful dark chocolate chips. I personally use PB2 as an alternative to peanut butter but you can swap it for almond butter instead. I also almost always use water instead of milk as well but almond or coconut milk is just as tasty! 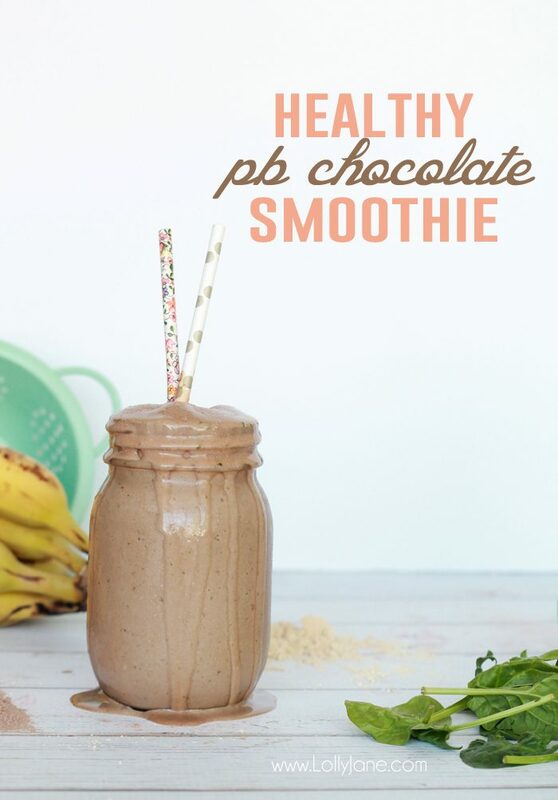 Want to try it and make your own smoothie? 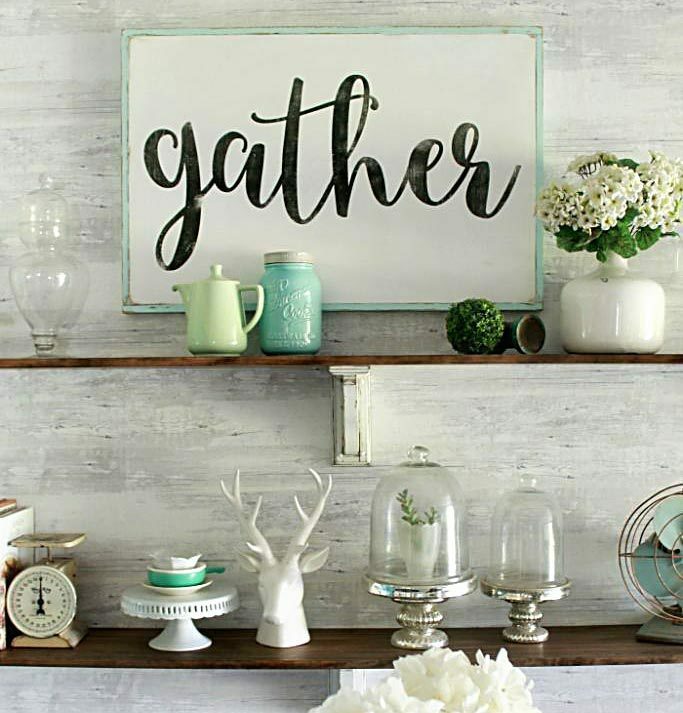 Snag the recipe below! 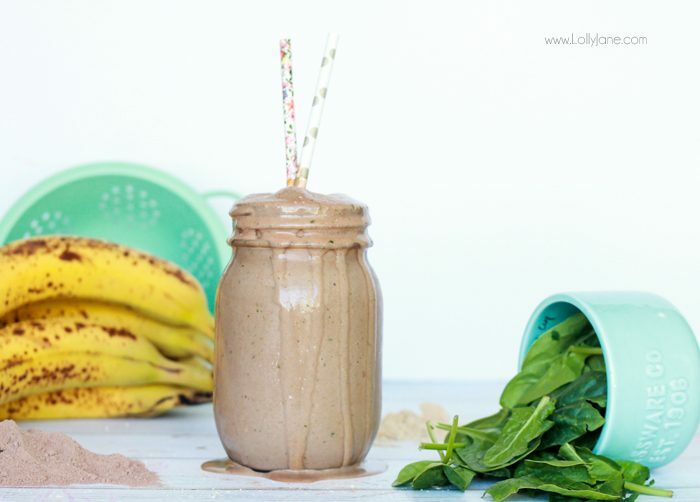 A delicious smoothie, perfect for breakfast or on the go, without the high calories! Add ice and water (or milk). Blend on "green smoothie" setting. Add or mix in more of your favorite healthy ingredients like almond butter instead of PB or flaxseed! More ice can be added to thicken smoothie, add 1/2 C. water or milk to each additional cup of ice. 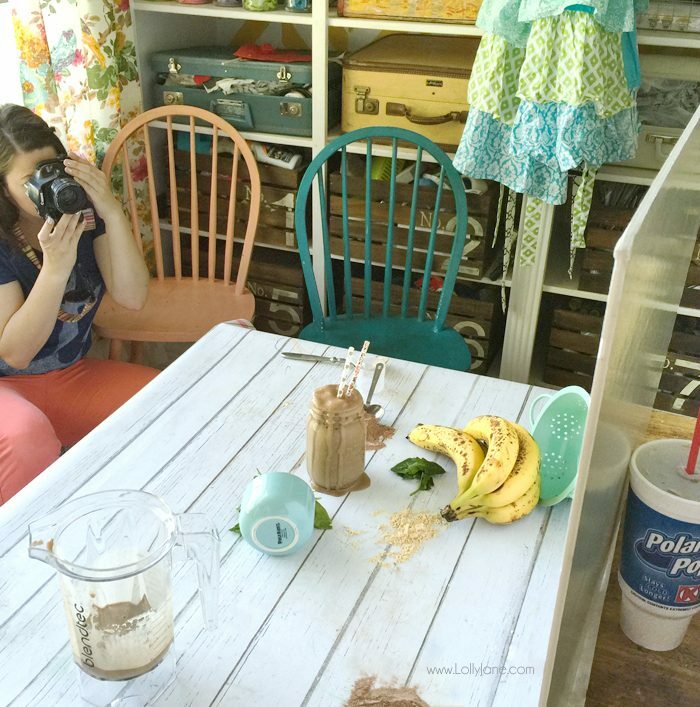 We thought it would be fun for you to see that the smoothie pics were actually snapped in the Lolly Jane craft room, not the kitchen! Here is Kristi snapping the 2nd photo in this post. 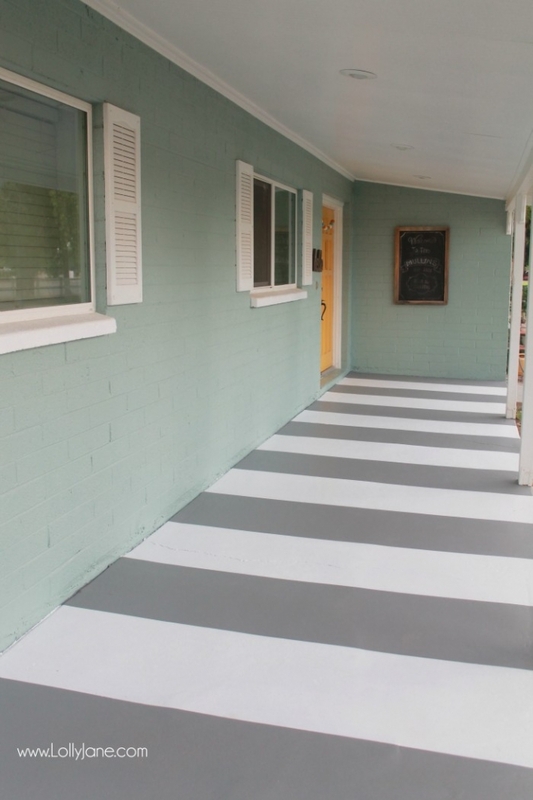 Lots of rearranging and photos to snag the “right” shots… from 100 shots down to 4! LOL! 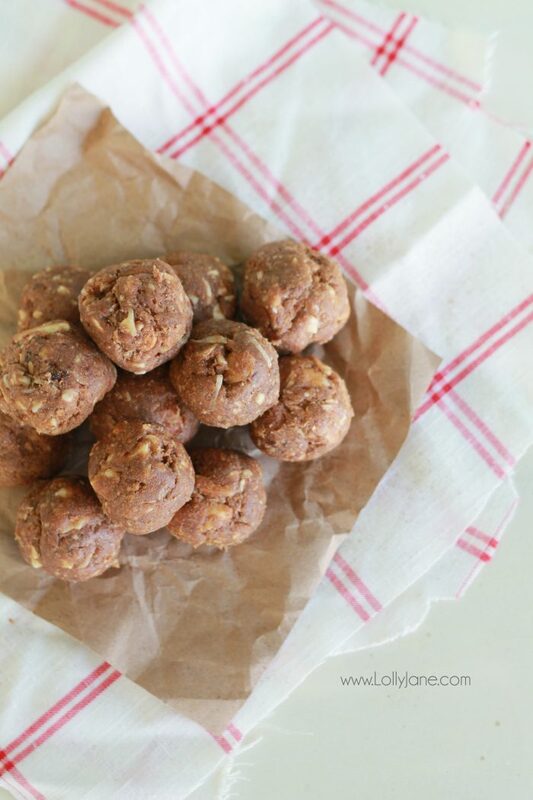 We posted our fave midday snack earlier this week, Almond Date Balls. 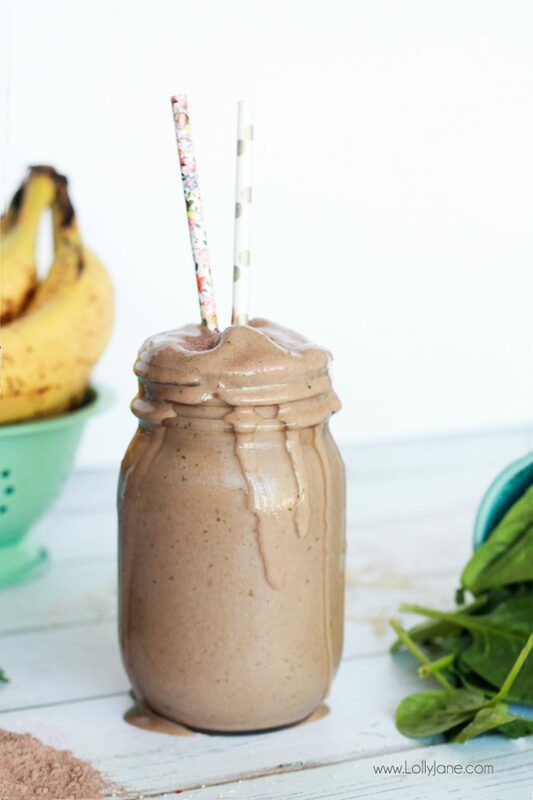 Easy to blend and besides being delicious, they are filling to hold us over until dinner! 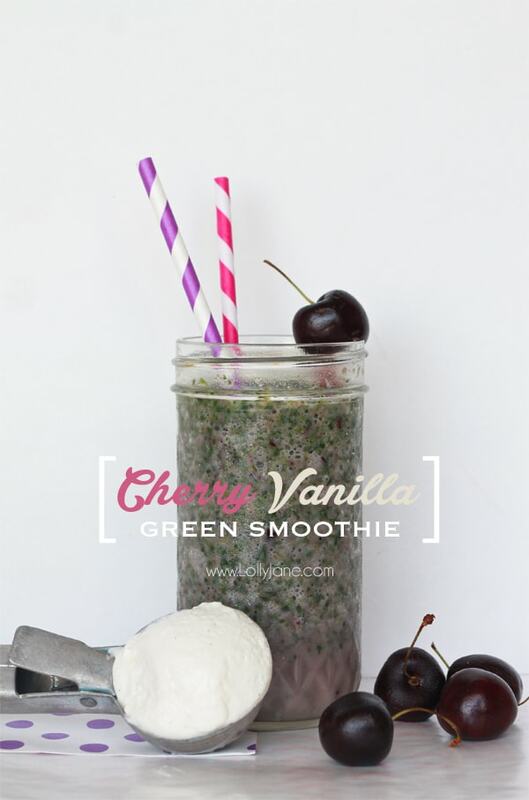 If you’re more of a fruit smoothie person, Cherry Vanilla Green Smoothie! 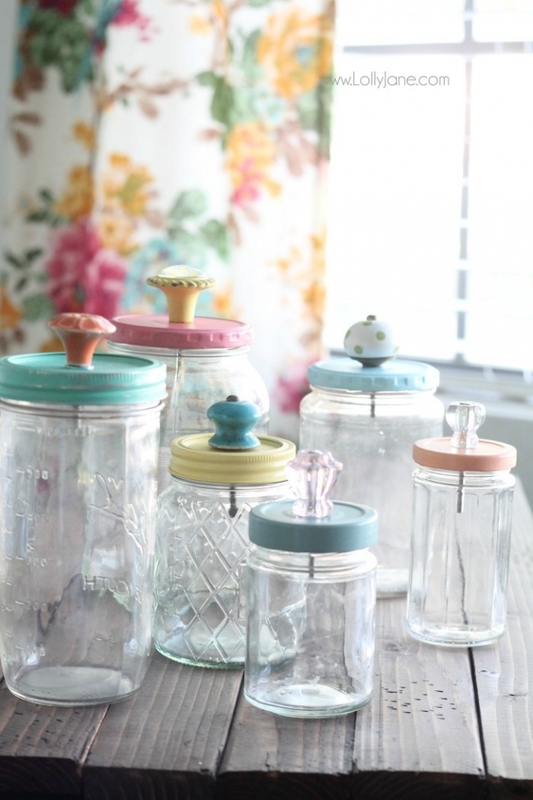 and our favorite crafts like our upcycled mason jars. I LOVE the behind the scenes shot! That’s so awesome! sounds yummy girls!! Very creative! Thanks, Shawnna! It’s sooo good! Irratates the …… out of me to be really intense on reading you post (which I’m very interested in) and have advertisements slide out from the side and cover up the words I’m trying to read!!!! Don’t know who thought up this mode of advertisement but it stinks. And that includes the sharing bar that is located on the left sometimes… There are times when I can catch the arrows but you don’t know just know when you will get the chance to catch it… In the mean time, you don’t get to read part of the article… Many times, I just click off of the article and go on to another option. Please pass the problem along to those who can do something about this!!!! Thanks for sharing your concerns, we would be irritated as well! We’ll chat with our ad companies, thanks for the feedback!! 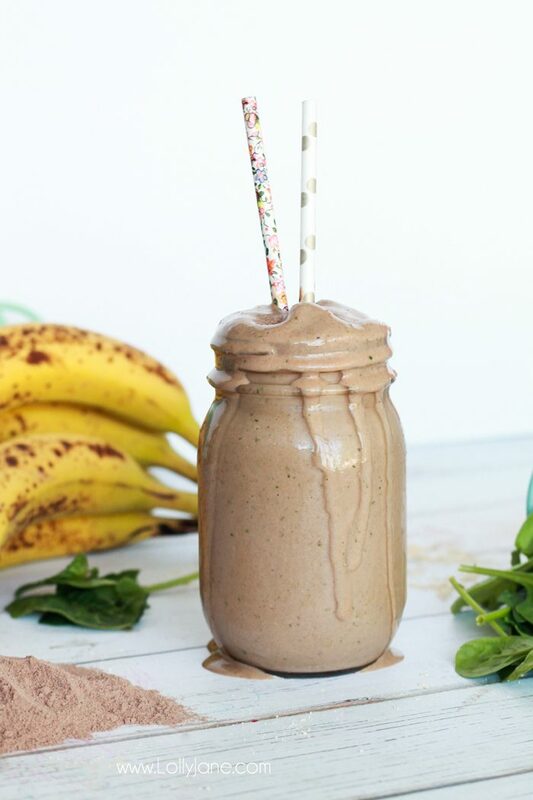 Curious, what kind of protein powder do you use in your shakes? ?